PennLive — the local paper here in the Harrisburg, Pennsylvania area — is carrying a great article on the work of Jim Spurrier and Phil Thuma, two medical doctors who have served for many, many years with Brethren in Christ World Missions in Zambia. As the article shows, the two doctors have done incredible work over their long careers in medical missions — and have made a significant impact on the lives of their patients in the Choma area. 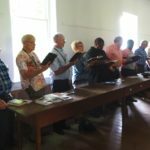 In this remote community of the African bush, two popular baby names trace their roots back to south central Pennsylvania. 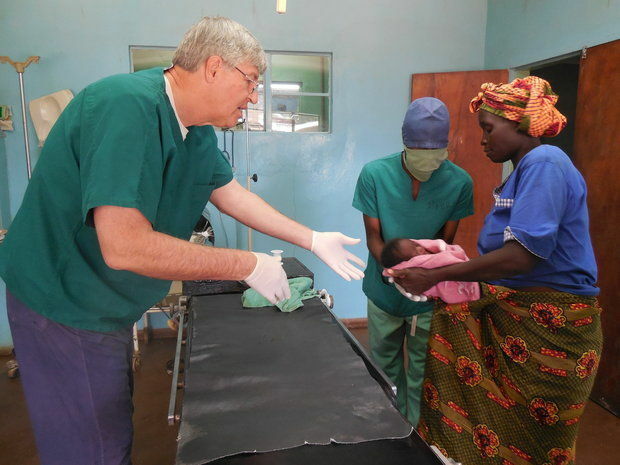 Spurrier and Thuma are common first names given by parents in honor of two Dillsburg doctors who have worked at the Macha Mission Hospital in Zambia for more than three decades. They provide medical care to a catchment area of about 160,000 people, many of whom walk, bike or take an ox cart across miles of dusty, washboard roads to seek treatment. “Medicine here is interesting and challenging. You are always seeing new things and treating new things, but more than that, I am really needed here. As I look back on being here for a long period of time, we’ve been able to make a significant impact on the healthcare in this community,” said Dr. John Spurrier. 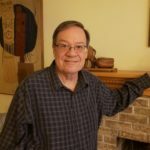 Spurrier first came to Macha as a Brethren in Christ missionary doctor in 1975 for 12 years, moved home during his children’s high school and college years and returned in 2001. More than just medical providers, Spurrier, Dr. Phil Thuma and their wives, Esther and Elaine, live among the Zambian people, attend church with them and speak the tribal language, Tonga. By living closely with the community, the doctors earned a priceless thing – trust – which, in return, has yielded a priceless gift for Zambians – better health.